Giving Bush the Boot ! 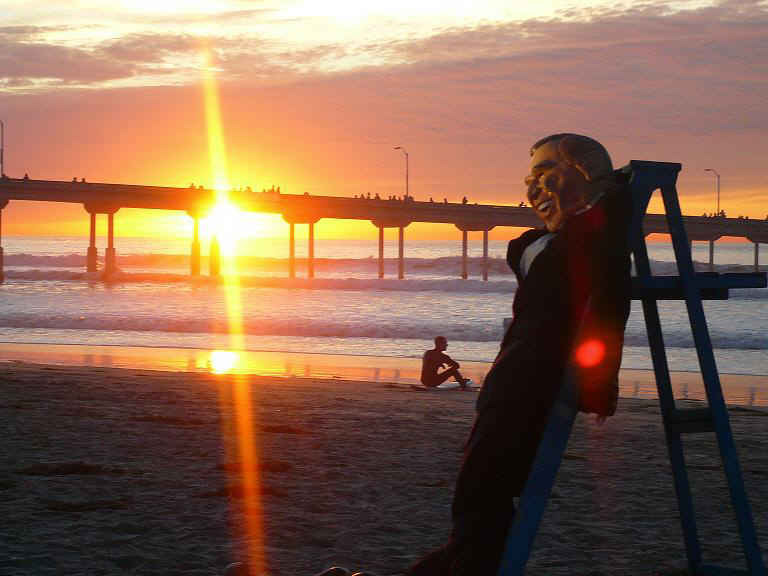 Over 50 people and a gorilla created a carnival atmosphere at a sunset beach party on the last day of Bush’s presidency as they gave Bush the Boot! 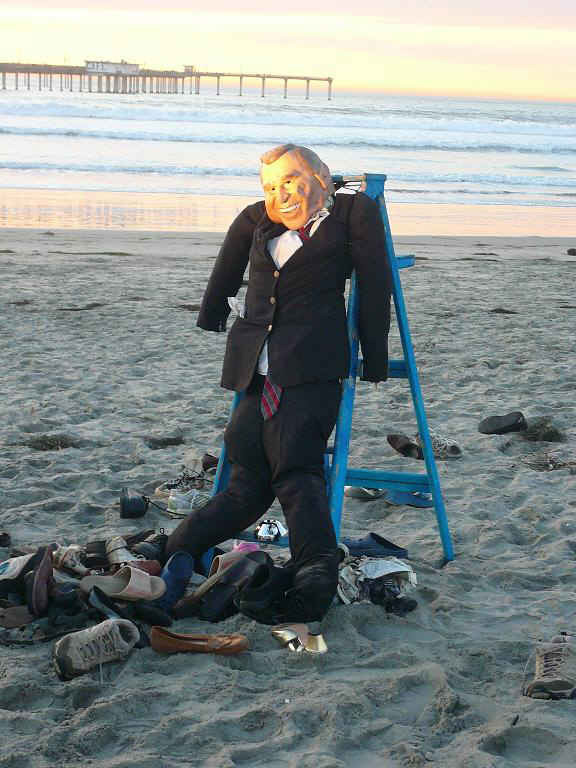 Inspired by the Baghdad journalist who threw his shoes at Bush as a sign of disrespect, Ground Zero Players constructed a life-size Bush effigy, stood it up on the beach in Ocean Beach, and invited people to hurl away. At the moment the sun disappeared below the horizon, spontaneous cheering, bell-ringing and drumming erupted. A simultaneous shoe hurl was accompanied by singing a few stanzas of Tanks in My Memory from bushisgone’s You Tube video. Bye Bye Bush! Don’t let the shoes hit you as you slink out of Washington. Note: 48 pairs of shoes were gathered from the sand and donated to charity after the event.